Question of the Week: – What’s your favorite skincare line? Answer: Elemis because their products are an unadulterated pleasure to use but I’m currently really appreciating the results I’m getting from Skinceuticals too. Orange to LA – shares her casual yet cool Style Essentials, see what items she needs to have in her stash at ALL times. Pink Sith – Had made the decree that she will be buried with her Urban Decay Waterproof Liquid Eyeliner in Perversion…not that she’s morbid or anything. Phyrra – is delighted with the 15-Year Anniversary Eye Shadow Collection from Urban Decay. Prime Beauty – was dazed and confused– but oh so happy after visiting the Inglot Cosmetics store. Vampy Varnish – declares that Wet n Wild Mega Eyes Cream Liner is better than MAC Blacktrack! we heart this – The MAC Colourization eye shadow duos have us hungry like the wolf! Join us on a swatch fest set to classic 80s albums. Beauty Junkies Unite – Check out the review & swatches for the Touring America Collection by OPI, before its official launch date! Clumps of Mascara – is shocked that Essence’s polishes are so cheap and yet so delightful. EauMG – Victoria of EauMG takes a trip to Washington’s lavender land! 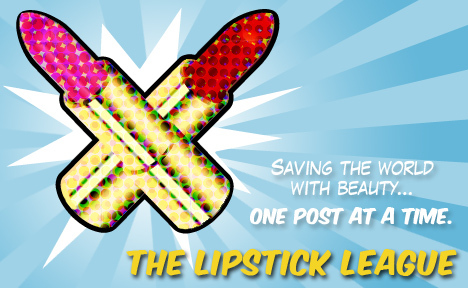 Lipglossiping – is all of a flutter test-driving Benefit’s new They’re Real! mascara. Come see the before & after photos and be impressed! Nouveau Cheap – reviews one of the new L’Oreal Color Riche le Gloss lipglosses. A “your lips but better” shade that tastes like chocolatey marshmallow? Yes, please. Do you have a favourite skincare line? Am I the only one that’s disappointed that Inglot don’t ship abroad?